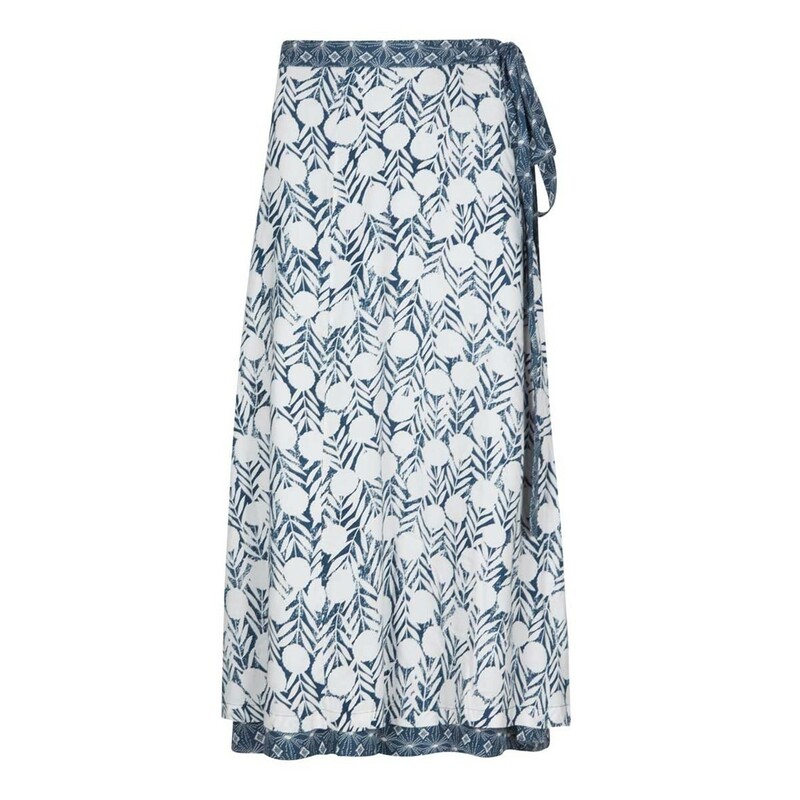 The Shana reversible printed midi wrap skirt makes the perfect cover up beach skirt, just throw on quickly when you're coming of the sand and heading to the poolside bar for cocktails. Lovely print and fabric but poor fit. There was not enough "wrap around" and the skirt gaped. Considering this was a plus size garment, more fabric should have been used in the manufacture. 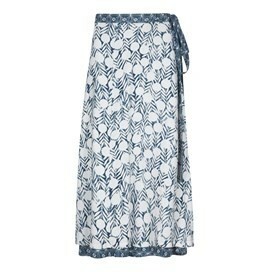 Two skirts in one! What could be better! Excellent design . An extremely versatile garment, useful for many different occasions.